With Love and Friendship currently filming, I’ve been thinking a lot about the plot of Lady Susan, upon which, of course, the film is based, and how it would work in the film medium. I stress I have no idea how Whit Stillman, who I believe has written the adaptation, has decided to adapt the original; I am working completely with the original as Austen wrote it. In case you haven’t read this novella yet (and why not? It’s quite short and enjoyable, and free to read if you have an e-reader, tablet, or smartphone), be aware I will be discussing the entire plot, so if a spoiler alert is needed, then: spoiler alert! Someone more or less familiar with the story will have an easier time following along. In high school English class, we learned that plots generally follow a model of dramatic structure. The model is sometimes known as Freytag’s Pyramid, which was first used to plot ancient Greek dramas and Shakespeare’s plays. It’s a relatively simple model, and really doesn’t even need the diagram once you get the hang of it. Exposition, rising action, climax, falling action, denouement (resolution). There are more complicated diagrams of the dramatic/narrative structure of fiction that include other plot points along the way, but for the purposes of this post we’ll plot Lady Susan with the simpler version of Freytag’s Pyramid, and then get into a different, more complicated model. Exposition: Letters I-VII set up the novel. All of the characters are introduced and the situation is explained for the reader. Rising Action: Letters VIII-XXXI. That’s a lot of letters; in fact, it’s most of the book. I felt like the best way to approach this was to determine the climax of the story first and work from there. After some consideration, I decided that the climax of the story is when Reginald finally gets incontrovertible proof that all those nasty things he heard about Lady Susan are true. I also considered Frederica writing a note to Reginald begging for his help as the climax, as Reginald is temporarily swayed in the girl’s favor and against Lady Susan, but she brings him around again. Writers are told to ask themselves what their character wants, and then focus on that. Lady Susan wants to get married to someone with money. For most of the story, that someone is Reginald De Courcy. I think the moment when she loses him forever is the proper moment to choose for the climax of the story. Climax: Letter XXXII, in which Reginald De Courcy arrives at Mr. Johnson’s house to meet Lady Susan. She has been delayed with Mr. Mainwaring, and Reginald overhears Mrs. Mainwaring complaining to her guardian, who is conveniently to the story Mr. Johnson, about how her husband is dallying with Lady Susan. The scales fall from Reginald’s eyes, and he is lost to Lady Susan forever. Falling Action: Letters XXXIII-XLI, which are basically a series of letters between Lady Susan and Reginald saying, “You stink!” “You stink more!” etc. etc., and the last two are an exchange of letters between Lady De Courcy and Mrs. Vernon, informing the reader that yes, it really is all over. Denouement: Conclusion. For a long time I felt like Austen had gotten bored at this point–epistolary writing is really, really hard, y’all–and just finished off the piece with a quick prose chapter, but as Austen actually points out, “This correspondence, by a meeting between some of the parties, and a separation between the others, could not, to the great detriment of the Post Office revenue, be continued any longer.” (Heeeeee! Jane, you are awesomeness itself.) So the conclusion, which wraps up all the loose ends, is written in prose, consisting of all of two long paragraphs. So we have the basic plot of Lady Susan as Austen wrote it laid out. But how might that work for a film? As I have already said, I have absolutely no idea what Whit Stillman has in mind, but it’s a fun intellectual exercise to try to lay out the plot–again, using Lady Susan as Austen wrote it–along a slightly different narrative structure diagram. This one is called Field’s Paradigm, created by the legendary scriptwriting instructor Syd Field in his seminal book on scriptwriting, Screenplay. Plot Point I: Letter VIII, in which Mrs. Vernon writes to her mother in despair that Reginald has fallen under Lady Susan’s spell. Remember: what does Lady Susan want? To marry a rich man. Reginald will do nicely. Bringing him to heel starts off her story. Field divides Act II, Confrontation, into two halves: from approximately minute 30 through 90. He places the midpoint at page 60, which again indicates a two-hour film. But for our purposes we’ll call it halfway. I’m going to place Letter XXI, Frederica’s letter to Reginald, at this point. And it is just about halfway through the story. 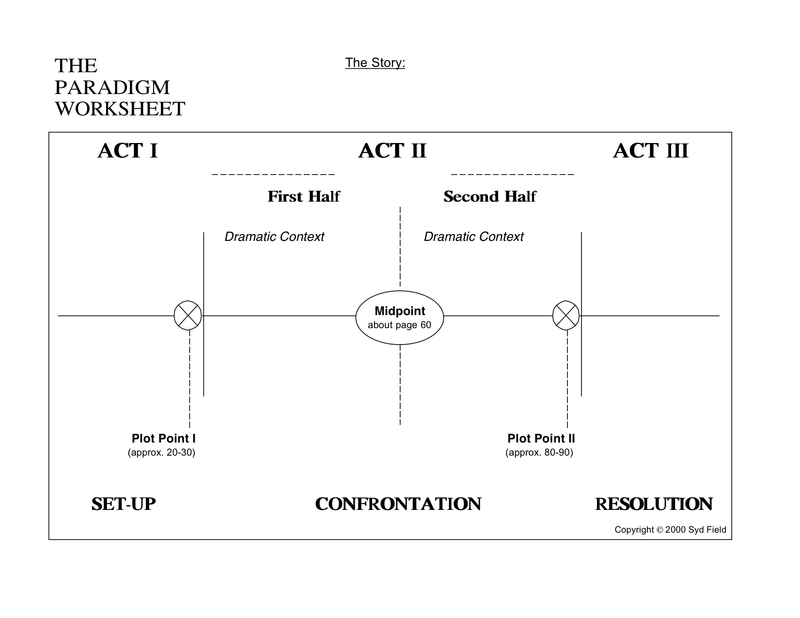 At the end of Act II occurs Plot Point II, which is more or less the same as the Climax in Freytag’s Pyramid. I’m going to place Letter XXXII as Plot Point II. Excellent blog, I’m equally excited to see what Stillman has created – perhaps you have come close to his method, who knows! There will definitely be more drama and obviously more dialogue, which must have been the biggest challenge as it is missing from the book. Can’t wait to see the result. 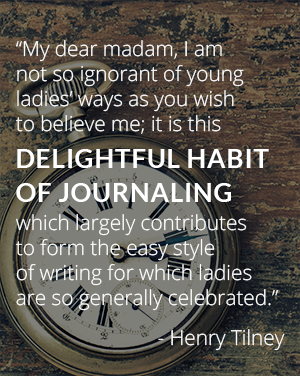 I have linked this post to my blog about Lady Susan today, hope that’s okay. I’m sorry I didn’t see your comment in the spam filter previously! I think it’s just a first-time-commenting thing that sent you there. Whit Stillman linked to this post on Twitter and intimated that it was pretty close to his film–I would imagine at least hitting the high points of how it will play out, because as you said he needs to add dialogue. This gives me great hope of having a fairly faithful adaptation.